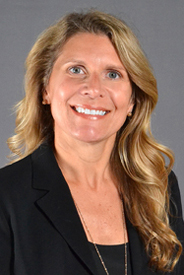 Angie joined The Austin Allen Company in March of 1998. Since joining AAC she has received the “Recruiter of the Year Award” five times. Angie has concentrated in recruiting for Consumer Products Manufacturers and has been very successful in the Appliance Industry. Angie graduated from University of Memphis with a Bachelors degree in Sales and Marketing. Following graduation she was a sales representative for the Food and Medical Educational Material Industry, where she achieved major sales goals during her tenure. Angie is married with two children. Outside the office she is a soccer mom and community activities organizer. She has successfully completed searches for Accountants, Designers, Engineers, Human Resources, Manufacturing Management, Materials / Purchasing / Supply Chain, Quality Control, Six Sigma Black Belts. in finding me a new opportunity as I was, and that is rare these days. Thank you Angie and Austin Allen for helping me make a great career move! KB – Sherwin Williams Corporation.